So it has been quite some time since I've updated the blog about my daily cloth diapering use. 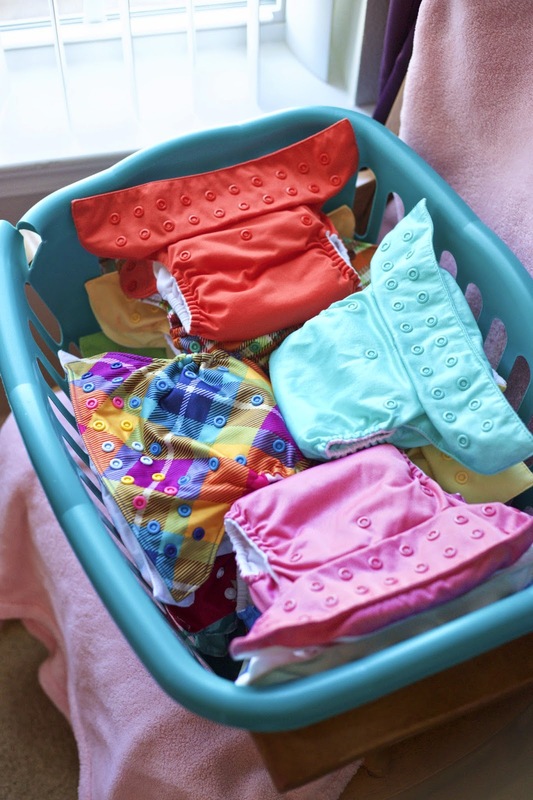 I've recently had friends come to me with questions regarding cloth diapering and I of course love answering any questions! I too started off with some encouragement from a fellow Mama to begin the cloth diaper journey. My adorable model pointing to her cute booty cover! This post is dedicated to my updated wash routine, any troubles I've run into, as well as my plans to cloth diaper two babes under the age of two. 3. One last rinse and spin using cold water no detergent. **if my diapers start to smell a little funky then I will occasionally add 1 TBSP Rockin Green's Funk Rock Ammonia Booster formula to step 1. 1. Add diapers covers, inserts, etc to a bath tub or utility sink filled with piping hot water. I've boiled buckets and filled our bathtub but now I use our giant utility sink and the water gets pretty darn hot. Add 2-4 TBSP Rockin Green Hard Rock (depending on how many diapers/ inserts you are stripping) Let soak at least 4 hours, some say overnight. 2. Remove them from the tub/sink and put in washer. 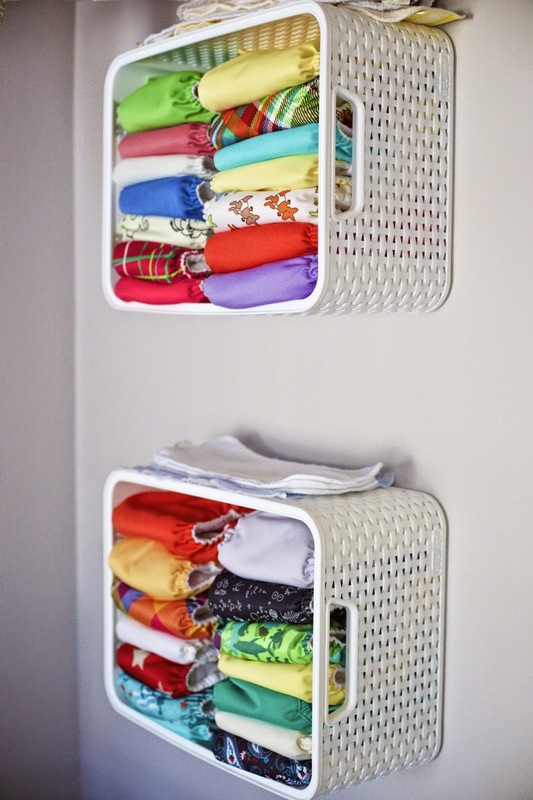 Wash a normal cold cycle with no detergent. 4. Do 1 more hot heavy wash cycles with no detergent. 5. One final cold rinse and spin. 6. Line dry and put inserts in the dryer. Like I mentioned before this process is certainly not quick or easy but if you truly are having troubles with your diapers this has worked for me in the past! ** some people swear by Dawn detergent for stripping or tea tree, grapefruit oil, apple cider vinegar, etc. but I am a little hesitant to try those methods. I stick to Rockin Green and Bleach! ** if you are concerned about staining lay your inserts and covers in direct sunlight to dry them! 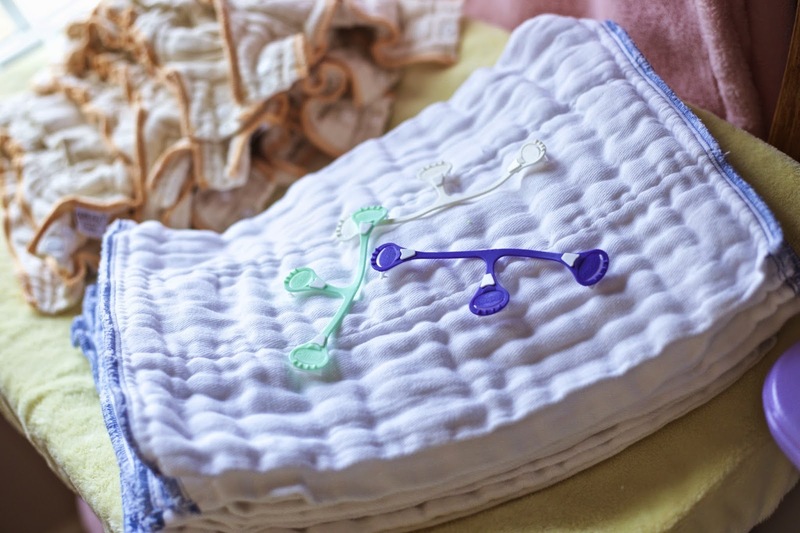 Third things third: Cloth diapering 2 UNDER 2! I plan to use the pre folds and covers until Amelia can fit into Lucy's one size diapers, which I anticipate will happen once Amelia hits 13 ish lbs, roughly 3 months. I plan to save the all in one diapers for nighttime use since they will be the easiest when we are the most tired! The prefolds and covers will be mostly what we use during the day as well as the workhorse diapers. Once Amelia is big enough to fit into Lucy's diapers I hope Lucy will be well on her way to potty train. With the 32 diapers I have I should be able to diaper both of them and do laundry every other day! 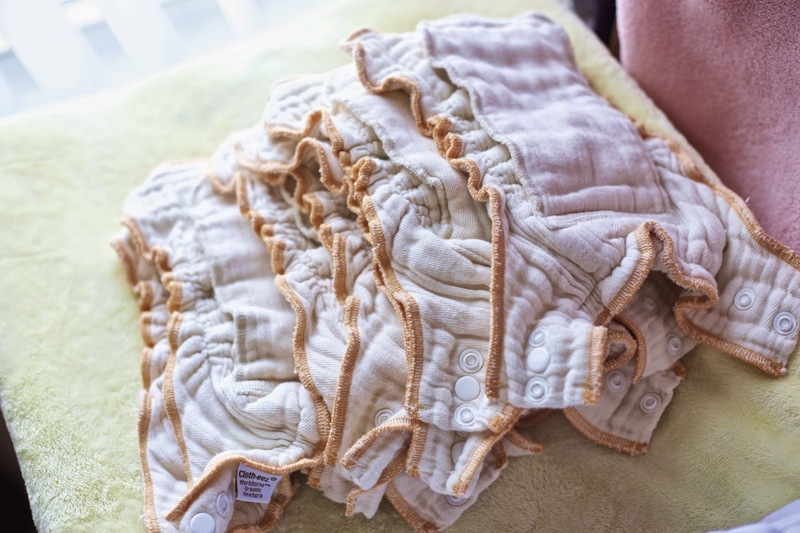 The reality of "one size" diapers is unrealistic for your itty bitty newborn, however cloth diapering your newborn the more old fashion way by using covers and prefolds makes it much more affordable! My total cost for my newborn diaper stash was right around $90. I purchased the all in one newborn diapers from a couple local moms. They were gently used and in great condition! I suggest researching (mostly Facebook groups) that have cloth diaper re-sale groups in your area.